This year we’re planning to broaden the focus of the 5th Future Fabrics Expo, which concentrates on the showcasing of world leading material innovations and commercially available fabrics with a reduced environmental impact. In addition to the more than thousand internationally sourced sustainable materials we’ll be showcasing, we’ll also be shining a spotlight on some of the strongest young designers creating fashion with sustainability principles firmly embedded in their conception and supply chains. The 5th Future Fabrics Expo will provide a platform for Redress’ The EcoChic Design Award’s designs to be showcased, highlighting both creative and desirable ways to produce fashion with less harmful environmental and social impacts through the reduction of waste. You can find out more about Redress and The EcoChic Design Award below. Redress EcoChic Design Award 2014/15 finalists photoshoot. Photography by Tim Wong. Redress is an NGO with a mission to promote environmental sustainability in the fashion industry by reducing textile waste, pollution, water and energy consumption. 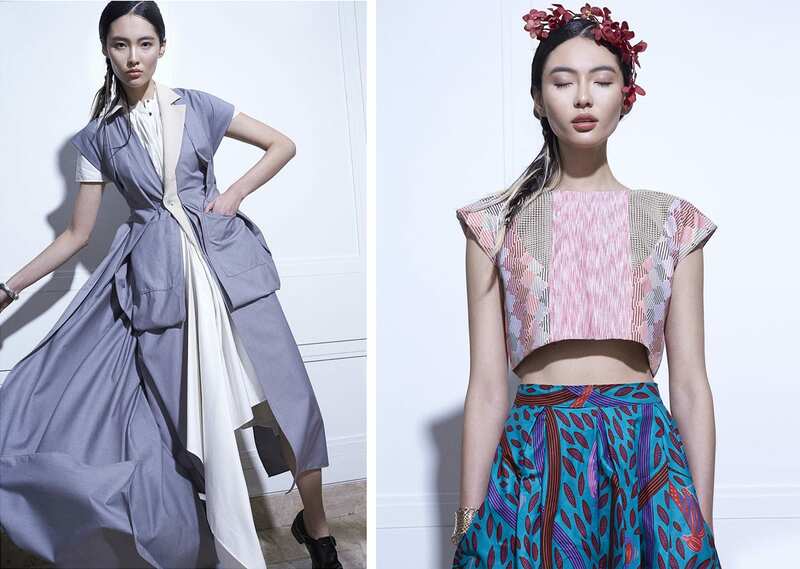 They achieve this by educational sustainable fashion shows, exhibitions, competitions, seminars, research and via their recycled clothing standard. They collaborate with a wide range of stakeholders, including fashion designers, textile and garment manufacturers, brands and retailers, schools and universities, multilateral organisations, governments, NGOs, financial institutions and media organisations. Working with their partners, Redress aims to enhance, educate and enable the adoption of a more sustainable fashion industry. 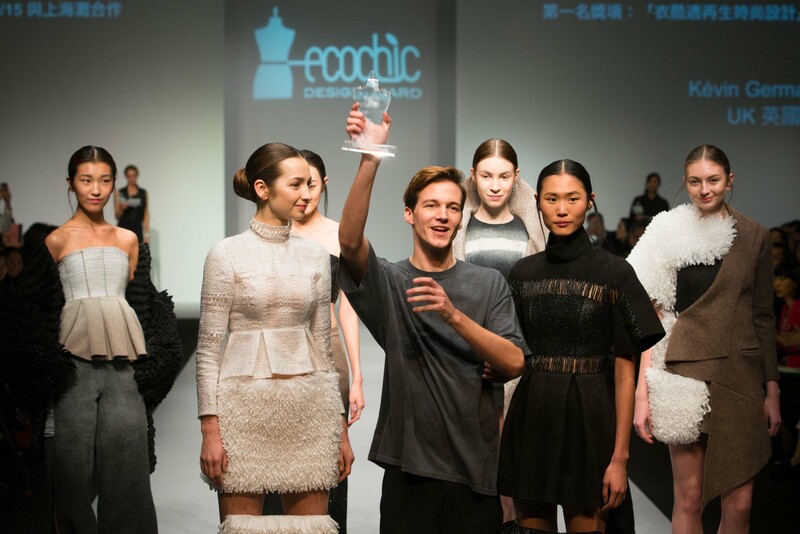 The EcoChic Design Award is a sustainable fashion design competition inspiring emerging fashion designers and students to create mainstream clothing with minimal textile waste. Each competition cycle takes designers on an education and design journey lasting several theory and design-packed months. Firstly, Redress educate designers about the fashion industry’s negative environmental impacts and the sustainable fashion design techniques, zero-waste, up-cycling and reconstruction that can combat this. Secondly, Redress provide designers with the tools, via lectures, videos, articles and recommended links, in order to develop their understanding of sustainable fashion design. They also challenge them to source textile waste, in its many forms, to enable them to transition towards sustainable design and sourcing. Only then do we put designers to the ultimate test – to cut waste out of fashion – in our standout sustainable design competition. This puts sustainable design talent in the spotlight and rewards the best with career-changing prizes to change the pattern of fashion. Redress can be seen at the 5th Future Fabrics Expo on 29th – 30th September 2015, remember to register for your free pass!